Studying history begins with the process of asking questions. How did people prepare their food in medieval Europe? Who was Beethoven's “Immortal Beloved”? What caused the American Civil War? Once a historian is armed with a question, the research begins, and the historian examines diaries, letters, official documents, newspaper reports, artifacts, works of art, interviews — anything that might lead to enough evidence that the historical puzzle can be assembled into a satisfactory answer for the question at hand. Easy enough. A child can understand the process. What takes a little more maturity for history students is understanding how the questions that historians ask reflect the times in which they live. Quite simply, we don’t wonder what we don’t wonder about, and we most likely only wonder about the things that relate to our own lives and the world in which we live. In 2006, C.A. Tripp published The Intimate World of Abraham Lincoln, a book that makes the argument that Lincoln was gay. The book obviously set off much historical debate. However, the book — and the debate it started — probably teaches us less about Lincoln than the times in which we live. I doubt few, if any, books written in 1926 or 1966 addressed Lincoln’s sexuality. Today, however, we live in a world in which people are more openly dealing with issues of sexuality. Decades from now, people will look at books and articles that our generation has written about Lincoln’s sexuality and learn more about us than about Lincoln. Before the 1960s, U.S. history books rarely included issues of race, gender, and ethnicity. Since the 1960s, however, history students have been inundated with issues of race, gender, and ethnicity. The civil rights movement prompted historians to begin asking questions they hadn’t asked before the 1960s, and the history books changed. If we read a history book from the 1920s about the Civil War, we are likely to learn more about the 1920s than the Civil War. In the same way, a history book written today probably reveals as much about modern times than the topic of the book. As a sign of our times, for example, many textbooks today include information about environmental history. That entry obviously speaks volumes about the world of 1911. 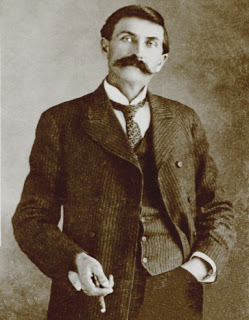 To further illuminate my point, take an innocuous historical statement such as “Pat Garrett killed Billy the Kid” and examine how responses to that statement might have changed over the last 120 years. In the 1890s, people had been exposed to numerous newspaper reports, dime novels, and books that generally portrayed the Kid as a cold-hearted killer. The Kid represented the old ways of settling problems in the American west. Many Americans at the turn of the century were looking forward to an end of the Code of the West and the “civilization” of a modern urban society. If I had said, “Garrett killed the Kid,” in the 1920s or 1930s, I would have received a much different response. During those decades, the Kid was portrayed as much more of a hero. 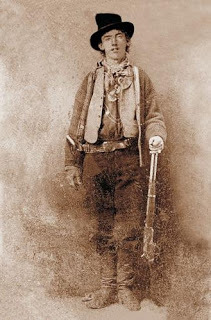 On the jacket of a bestselling book about the Kid published by Walter Noble Burns in 1926, the Kid was described as the “Robin Hood of the Mesas.” In 1930, a King Vidor film titled Billy the Kid was shown to test audiences who were so disturbed by the Kid’s death that the producers were forced to change the ending. In the version released to the public, Pat Garrett fakes the Kid’s death and lets him escape to Mexico with the girl he loves. Again, the way the story was told in the 1920s and 1930s tells us more about that time in history than it does about Billy the Kid. At a time of gangsterism, financial corruption, and economic depression, the Kid was portrayed as a romantic hero fighting against the corrupt business forces of his time. In short, he was a heroic figure. And what if I said, “Garrett killed the Kid” in modern times. I have made several presentations and taught classes on Billy the Kid, and the reaction is often the same. “Did Garret really kill the Kid?” “Didn’t Garrett kill someone else and cover it up.” “Didn’t the real Billy the Kid die in Hico, Texas, in the 1950s? Today, an innocuous historical statement such as “Garrett killed the Kid” leads to questions of conspiracy and coverup that reflect much uncertainty and cynicism about official stories. I believe that reaction says more about us than it does about Pat Garrett and Billy the Kid. What it says, I’m not sure, but wouldn’t all this be fun to talk about in a history class?